“Dr. Ilene” S. Cohen, Ph.D., is a psychotherapist and blogger, who teaches in the Department of Counseling at Barry University. 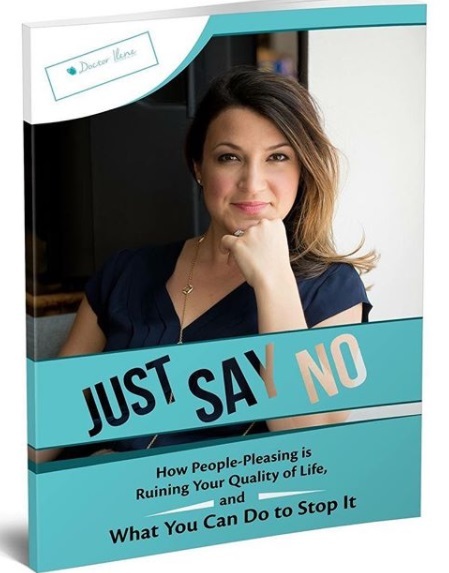 She’s a regular contributor to Psychology Today, with her most recent release of her self-help book entitled, “When It’s Never About You." Her practice and book are fueled by her passion for helping people achieve their goals, build a strong sense of self, and lead fulfilling and meaningful lives. I think what I do best is connect with people. I have always been able to be present with others, listen and try my best to understand where they are coming from. That’s probably why I became a psychotherapist and writer. It is all about human connection, letting people know you get where they are coming from, and sharing your own story as well. The most important quality I have is my persistence. I don’t give up easily. If I am tired, I rest, but then I am back at it. I can be persistent even when the reward is far away. A lot of people need to be instantly gratified, or quit too soon. It takes a lot of effort and persistence to get anyplace. You gotta keep at it even when you aren’t seeing much results in the beginning. My aspirations even scare me sometimes. They are so big that it’s hard for me to say out loud without laughing at myself. Personal aspirations are to have a healthy and happy family life. To maintain meaningful and satisfying relationships is number one to me. Hopefully keep growing my family, as well. My business goals are to continue writing, see more clients, and speak. I would love to see my book on a best seller list, but I also find so much joy in receiving emails from people who have been positively impacted by my writing. I want to tell my story, others stories and share all of my education. This is a tough one to answer. A few years ago, I would have said my biggest success was graduating with a Ph.D., that was really hard and many many years of work. Though, I would have to say my biggest success is being a mom to the most amazing 2-year-old. Transitioning from a scholar to a mom was rough for me. Though it’s taught me a lot about patience and love. I think I have been challenged a lot, but I am proud of the type of mom I am and how my daughter is turning out. She’s by far the best thing in my life. My notably most difficult personal decision, that I believe had a meaningful impact in my life, was changing from being a people-pleaser to putting my needs first. It was so hard to change and it was even harder to disappoint some of my family members. I have some very needy family members, and if I didn’t put an end to my people-pleasing I would have never become a success. It is still hard at times to not go into old patterns, but I know the consequences of pleasing behaviors way too well. So now I manage myself through disappointing others and continue on my own personal journey. “With great sacrifice comes great reward.” That is something my grandfather would always say and that will lead me to answering the next question. I grew up with a very successful grandfather. He was someone I always looked up to. He ran several multimillion dollar businesses, loved his work, but always stayed humble. He isn’t only my role model because he was a great business man, but also because he was a good-hearted man. Honestly, I don’t think he cared about the money, he just liked providing jobs and seeing something grow. He liked building and running companies. He never thought he was better than anyone, and always remembered where he came from. He always put his family first, and that is mostly why he will always be my favorite person and role model. I am such a homebody. Don’t get me wrong I like to travel. I live in a popular vacation spot in Miami. I live in such a beautiful place, that I would have to say my home is my favorite place in the world. I also have most of my family and friends here. My second favorite place is New York city. That is where my grandfather lived, so it will always have a special place in my heart. My favorite product is audible! I love to read, and love paperback books too, but being a working mom audio-books allow me to get my nerd on while on the go! My real first true love is writing. I wasn’t always the best at it. I don’t always get all the grammar correct, but I write from the heart. It is where I can feel safe with my emotions, it is the best way I know how to express myself. As my writing skills get better the more I am passionate about it. I can’t wait to get to my computer and just write it all out most days. People ask me all of the time, “where do you get all of your ideas?” and “how do you write so much?” My answer is simple if you look inspiration is everywhere and I just love doing it. My latest passion is hot yoga. I love how I feel after a class. It is a great space to disconnect and challenge your body. I suffer from chronic pain, and hot yoga has been instrumental in managing that pain. It’s also a great workout!